Annie Harris, Executive Director of Essex Heritage, recently attended a meeting of the National Park Service's Advisory Board's planning committee in Washington, D.C. The planning committee includes fifteen members representing a wide base of expertise in natural resources, cultural resources and community groups. "Our vision for the next century of the National Park Service is for a system of parks, protected areas, and programs that more fully represent all of our heritage - natural, cultural and historic," said Harris. "Two of our highest priorities are to be more inclusive of people and stories that have not been interpreted by NPS and also to provide more access for urban populations to NPS parks and programs." Read A Call to Action: Preparing for a Second Century of Stewardship and Engagement. Searching for things to see and do is now easier thanks to new search features recently added to the byway web page: www.CoastalByway.org. Check it out and let us know what you think. Time is running out to explore an architectural treasure from America's first century. Over 25 "First Period" buildings (1625-1725) are open to the public on Saturday, October 6. Check them out! Photo Contest Deadline Fast Approaching! All submissions are due by October 1, 2012. Photographs must be taken within the Heritage Area and represent one of this year's three contest categories: "Images of the Essex National Heritage Area", "The Merrimack Valley" or "In Town/Downtown." Sponsored by the Essex National Heritage Commission, Hunt's Photo & Video and the Merrimack Valley Planning Commission, the 2012 Photo Contest will award 10-13 prizes to photographers. Shoot, Enter, and Win! Find out more. A special thanks to new Corporate Member North Shore Elder Services for joining as an Essex Heritage Benefactor. Your support is greatly appreciated! One of the tasks that I have taken on this year is to develop a series of profiles that highlight the many elements of that important fall festival, ”Trails and Sails’ Now it seems to be an appropriate time to focus on the purpose and the makeup of the entire event. Trails and Sails was created a decade ago to shine a spotlight of the many individual events and remarkable venues in this region that together created one of the most spectacular period of events over any two-week period of time, in this region The event that was organized was the brainchild of the Essex Heritage Executive Director Annie Harris. She had witnessed a similar event in another national heritage area. Since imitation is the sincerest form of flattery, we decided to copy, with adjustments to fit our region that event. She had watched the success of a similar successful event offered by a sister Heritage Area in the neighboring state of Connecticut. That program was reasonably new, but showed great potential of long-term success, and seemed to fit our goals of awareness building. Without question one of the major reasons the event has been so successful these last ten years has been the cooperation and participation of dozens of visitor sites across the region. These agreements were the first real partnerships that were established between the Essex Heritage Areas and the managements of the organizations that agreed to offer their locations free of any charges to a pair of visitation weekend. Their commitment to the process was essential and critical. Their participation and willingness to be a partner were as least as important as the primary concept offered by Essex Heritage. Last Weekend the festival began with a sensational kickoff reception held at a TD Bank Branch in Beverly that was attended by hundreds of weekend participants. That event enhanced by walking tours of Beverly’s downtown by the Beverly Historical Society in partnership with TD Bank. We thank them along with our other Trails and Sails sponsor, Eastern Bank and REI for their unequaled and complete support. We sincerely hope that you will take advantage of the events offered this weekend and use the guide book that has been prepared to enjoy this region for weeks and months in the future. Check out our latest volunteer opportunities. Time to make a difference and support our community! REI is Sponsoring a National Public Lands Day Event at Bradley Palmer State Park. A great opportunity to get outside and help our region. Contact Dominique McLean. Location: Boardwalk adjacent to rail trail, south of RT97, Danvers. This winter the Danvers Bi-Peds and volunteers are working the details of the swamp walk 'completion plan' which requires measuring the distance needed to cover in order to finish the project. Visit the Danvers Bi-Peds website for more information. “Archives” at the Peabody Institute Library website Danverslibrary.org. Click onto http://www.danverslibrary.org/archives/archivereport2012/2012.htm to view it. new acquisitions are kind of neat. A state agency recently released a report on the potential for improving both vehicular and cyclist safety at THE ROUTE 62 INTERSECTION ON THE RAIL TRAIL. The report was discussed at a recent public meeting and plans are being formulated to improve conditions. Salem Power Plant officials offered a public meeting last week. Footprint that has been named to rehabilitate the half century old power station held a public meeting to bring neighbors and others in the city up to date on their plans. The fair is one of our longest running partners and we wish them success. Pleasant weather and enthusiastic crowds over the run of the fair. Prep Rally 2012 – October 13 Join us for Prep Rally on Saturday, October 13. We’ve taken Homecoming, given it a twist, and added new activities and more reasons to come back to campus! • Mini classes with Prep faculty: Election 2012, Headmaster’s State of the Prep, Making Movies, Cross Fit Demo. Do you believe in quality public schools? Do you want to achieve more for our students? Do you want every child to succeed in the Salem Public Schools? to learn about the district's turn-around efforts and what all residents of Salem can do to help. Successful school improvement models raise expectations among teachers and parents of what students can achieve, focus on instruction and training, and rely on input from parents and the community. During the past year, the entire Salem community became involved in the development of bold strategies to improve every school and ensure that every student in Salem gets a high quality education. Recommendations were made by committed shareholders and a plan for turning around our schools has taken shape. Much of that effort is now underway, and much more is to come. Mayor Driscoll and the school leadership spoke about the progress that has been made so far, what to expect this year, and the timeline for achieving all of the school system’s improvement goals. SEF Grant Cycle Now Open! The Salem Education Foundation is now accepting applications for teacher grants for the 2012/13 school year. Teachers and staff may apply for up to $1,000 for enrichment grants and up to $3,000 for collaborative grants. Grants are available to teachers and staff at all the public schools in Salem, including the city's two charter schools. Applications must be received by Friday October 12th for consideration in this year's grant round. Enrichment Grants are the traditional grants awarded by SEF for over 15 years. They are designed to provide funds for classroom teachers who have innovative, meritorious ideas. 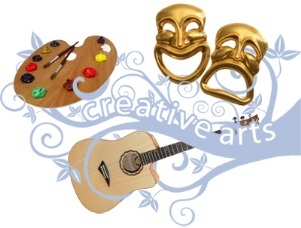 A project may qualify for funding if it makes creative use common of teaching aids, approaches the curriculum from an imaginative angle, ties non-traditional concepts together or promotes learning in innovative ways. Collaborative Grants are designed to promote cooperative efforts across disciplines, across grade levels, and among schools. The Collaborative Grants category enables the Foundation to promote professional teamwork, cooperative learning and to share innovation across Salem schools. For more information on this event or any of our Athletes Weekend 2012 events please click here. Alumni Golf Tournament, Beverly Golf and Tennis Club, Beverly. Please visit our webpage to download a printable version of the brochure. Alumni Field, O'Keefe Sports Center Your Gift Makes a Difference! At Spaulding, we don't think of them as just therapists, to us, they are heroes. Have you been helped by an outstanding therapist who provided unmatched compassionate care to you or a loved one? If so, join us as we celebrate National Rehab Week, September 16-22, 2012 by honoring a special therapist with a donationto Spaulding. With a gift to Spaulding Rehabilitation Network you can honor a therapist's dedication while helping our patients find their strength. Your special therapist will receive a letter of recognition with your personal message of thanks, informing him or her of your generosity. With your support, our therapists are able to provide exceptional care to our patients and their families. Thank You for recognizing the vital role therapists play in the care we provide. The opportunity for creative expression through the arts provides people living with dementia an alternative means of communication in a strength-based, process-oriented model. This conference highlights best practices for creative arts programming through experiential workshops with expert leaders in the field. The conference will take place on Wednesday, October 3rd, from 8:00 a.m. to 3:30 p.m. at New Bridge on the Charles. Click here to see the full conference agenda. Join in on a dynamic panel discussion with experts on navigating the aging journey on Wednesday, October 17th, from 7:00 p.m. to 9:00 p.m. in the Wakelin Room at the Wellesley Free Library, 530 Washington Street. The panel will be moderated by Janet Simpson Benvenuti, founder of Life Partners and author of Don't Give Up on Me! a memoir that captures the lessons she learned during the decade she supported her parents while raising her children. Janet will be joined by three experts who have decades of experience working with families: Dr. Anne McCaffrey, Medical Director of the Marino Center for Integrative Health, Jim Reynolds founder of Caring Companion Home Care, and Dianne Savastano, R.N./MBA and founder of HealthAssist. The program is free to the public and will be telecast on the local community access channel. Bring your stories and prepare to enjoy a lively and informative discussion. The Boston Professional sports scene is certainly in flux. The Bruins have been locked out and the entire season appears to be in danger of being cancelled. The Patriots unexpectedly lost in their home opener and with injury issues and a receiver controversy seems to have the team all adrift. The Red Sox must win all of their remaining games to just finish winning as many as they lose this year. That record would be the poorest attained in many years. I can only speak with personal knowledge from reports that I have learned from a meeting at the Danvers Council on Aging. That source has advised that demand for support by both long time Danvers residents and the many families currently lodged in Danvers Motels is increasing and supplies are decreasing. That facility needs support and more material to provide help to their clients and I am reasonably certain the Food Pantries in the adjacent communities of Salem and Beverly that also provide support to local residents have needs as well. If anyone reading this report has an opportunity to help in those locations with either non-perishable food or financial resources please consider offering support. The need is great and any contribution at any local pantry in this region would be most appreciated. As a member of the Essex National Heritage Commission there are many opportunities to connect to resources in this region. In September Trails & Sails offers hundreds of opportunities to explore the region, but membership makes the fun last all year long. Your connections to place foster stewardship enriching both your life and ensuring the longevity of the natural, historic and cultural treasures here in Essex County, MA. Enjoy Essex Heritage as well as featured partner events. Both offer special Essex Heritage membership rates to attend, just let them know you are a member! Join us and experience the best of the region throughout the year! Trails & Sails: Two Weekends of Walks & WaterJoin us for the 11th annual Trails & Sails: Two Weekends of Walks and Water, September 21-23 & September 28-30, 2012! Explore Essex County's cultural, historic and natural sites during two weekends of 150+ FREE events. Enjoy a variety of guided tours, open house visits, hikes, walks, sails, paddles, and other special experiences for all ages, skill levels and interests. Search the online event listing and plot your course here! Essex Heritage is leading the planning effort for the EssexHeritage Scenic Byway, a 85-mile route linking 13 coastal communities between Lynn and Newburyport featuring scenic views, period architecture, historic sites and recreational opportunities. With the twin goals of preserving the byway’s intrinsic qualities and spurring investment in its infrastructure, attractions and amenities, Essex Heritage worked to secure state byway designation and federal funding for a comprehensive management plan that will help community and regional leaders increase cultural tourism. Learn more about the Scenic Byway. Working to expedite development of the 28-mile Border to Boston Trail, Essex Heritage provides leadership and staff support to a regional partnership composed of local officials, the Massachusetts Highway Department, Merrimack Valley Planning Commission, Metropolitan Area Planning Council, and National Grid. With portions already under construction, the non-motorized, multi-use rail-trail will provide alternative transportation links to town centers, schools, businesses, and public parklands in eight communities from Salisbury to Danvers. When completed, the trail will be one of the region’s most outstanding assets, facilitating safe, scenic and healthy transportation and recreation for all. Readmore about the Border to Boston. Essex Heritage coordinates a network of ten visitor centers that provide information on the heritage resources throughout Essex County. The centers include the National Park Service’s Regional Visitor Center in Salem, the Hall Haskell House and Visitor Center in Ipswich, and the NBC&VB’s Maria Miles Visitor Center in Salisbury. Essex Heritage works cooperatively with these centers, and the seven others located in Lynn, Lawrence, Gloucester, Haverhill, Peabody, Newburyport and Saugus, to promote regional tourist visitation. By providing consistent and knowledgeable assistance about the Area’s myriad of natural, historic and cultural attractions, the visitor centers, many run by volunteers, are a key to competing in the growing cultural tourism market. Learn more about the ENHA Visitor Centers. Essex Heritage has produced a series of print and electronic thematic guides to the region. The purpose of these guides is to make it easier for residents, visitors and future stewards to connect with area’s heritage sites and encourage regional exploration. Themes range from Art Escapes and Birding to Farms and Historic Homes and Districts. Guides are built with the cooperation of local experts and participating organizations throughout the Area. View, Download and/or Request a Printed Guide (depending on availability). The Coastal Trails Coalition, Inc. is a non-profit organization whose mission is to assist in the development of the Coastal Trails Network, a 30-mile system of interconnected foot trails and bikeways throughout the lower Merrimack River Valley communities of Amesbury, Newbury, Newburyport and Salisbury. Launched in 2003, Essex Heritage, with early assistance from the National Park Service Rivers and Trails Program and Merrimack Valley Planning Commission, has provided leadership and technical support in the areas of visioning, outreach, and project development and implementation. Visit the Coastal Trails Coalition website. Essex Heritage is a founding member of the Great Marsh Coalition, an ad hoc group of organizations and agencies promoting greater awareness and stewardship of the Great Marsh, the largest salt marsh in New England. Essex Heritage supports the coalition’s advocacy efforts, including its annual educational symposium. Learn more about the Great Marsh. One of the most unique benefits that Essex Heritage provides to this region is the ability to partner with the National Park Service. This special public-private relationship allows Essex Heritage to develop educational and interpretive programs with Park Service staff and resources that bring history and environmental stewardship to life for people of all ages and backgrounds. Essex Heritage is particularly excited about current pilot programs that are designed to engage underserved, urban youth in natural resource stewardship within and beyond the Park boundaries. Read more about our successful partnership with the National Park Service in youth engagement initiatives such as First Bloom, F1rst Jobs and America’sBest Idea. Essex Heritage plays a leadership role in the Alliance. There are 49 National Heritage Areas, and the Alliance is the national organization of that represents and advocates for these areas. Visit the ANHA website to learn more. As I have previously reported in this space, I am spending a fair amount of my time these days seeking new members for the Essex Heritage Corporate Membership Program. We are proud to announce the East Boston Savings Bank and the Metro Credit Union have recently become members and the law firm of MacLean, Holloway, Doherty, Ardiff and Morse have made a generous contribution to our efforts. I hope that you had the chance to read the profile that was prepared and printed in this BLOG about a visit to Downtown Salem either during or after the Essex Heritage Trails and Sails Weekends. In that profile, I wrote glowingly about the community of my birth where I either lived or worked for almost three quarters of a century. Today’s profile will take you on a tour of the Town of Danvers with a particular emphasis on the Olde Salem Village section of the community where the witchcraft accusations of 1692 first surfaced. This section of the Town starts along Collins Street, up from the Liberty Tree Mall and continues through the classic and picturesque part of the Town that includes Glen Magna Farms. My family and I were most fortunate to move to the Town of Danvers thirty-five years ago, first in a bedroom section of the Town adjacent to St. John’s Preparatory School and for the last decade or so on the edge of the Olde Salem Village section of the Town. Even though the St. John’s Prep campus is not to be found on the Essex Heritage Trails and Sails agenda, this organization partners in our work. If you have never visited the campus on the old Spring Estate at the junction of Summer and Spring Streets, it is worth a visit to view the classic New England Prep School campus that looks more like a small college campus than a High School. The sites hosting events during the Essex Heritage Trails & Sails weekends are all planning specific programs for these free weekends, but there is still a lot to see if you decide to visit at another time of the year. The real flavor of the old farming community can best be felt as you return several centuries to savor where the original Witch hysteria was first exposed to public scrutiny. The first stop, though not scheduled in the Trails and Sails weekends, is the Witch tercentenary memorial that is located just beyond the First Church in Danvers on the corner of Hobart and Centre Streets just beyond a local elementary school. The memorial site is opposite one of the two or three working farms (Clarke Farms) still operating in Danvers. 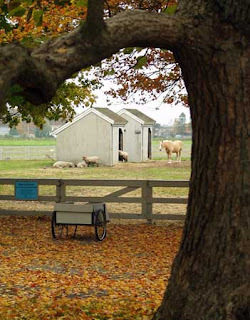 After viewing that memorial, travel up Centre Street to Ingersoll Street and drive into a twenty-acre summer residence the famous Glen Magna Farms that was the summer house of a famous Salem sea captain and enjoy their famous gardens. The main house is not on the Trails and Sails agenda but the Society will be offering a concert at that time at the main repository of the Society in Tapley Hall on Page Street in the Downtown section of Danvers. The concert will be performed by the Society’s Artists in Residence, Essex Harmony. That group was an audience favorite at last 2011 Trails and Sails event. The Danvers Bi-Peds, who have helped to create the partially completed Danvers Rail Trail, will be holding a walk in the Danvers Woods as part of Trails & Sails. There will also be Trails and Sails events sponsored by the Danvers Alarm group at their headquarters at the Rebecca Nurse House on Pine street, and there will be a festival event at the 1670 Judge Samuel Holten House, located at the junction of Pine, Collins and Centre Streets. Both of those locations are great examples of the kind of history that abounds in Danvers and should be visited. The Town of Rowley recently planned and held a most entertaining event modeled after the television quiz show Jeopardy. Town officials competed by being asked questions prepared by local historians about the history of Rowley. A historic Town weather vane that formally adorned the Town Hall will be displayed inside the Town Hall. The weather vane was first mounted on the cupola of the home owned by the co-founder of General Electric, Elihu Thompson, in 1889 before the house became the Town Hall. The weather vane was once stolen and later recovered in a Vermont Antique store. The valuable town asset has been damaged over the years and must now be protected inside. Friday Sept. 21 Concert: “Huzzah……Welcome Home!” will feature Danvers’s Artists-In-Residence “The Essex Harmony”. Founded by Glenn Mairo and under the direction of Tom Carmody this evening is part of the annual Essex National Heritage Commissions Trails and Sails Weekends of Events. Free to all, 7 PM in Tapley Memorial Hall. Parking is on Page St. or in the community lot at the corner of Page & Elm Streets. Reservations required, contact essexheritage.org or call 978.740.0444. Light refreshments will follow the concert. The City of Peabody is re-locating its Tuesday Farmers Market from the Peabody Common to the area in front of the City Hall to create more visibility and foot traffic. A long standing grant made by the Read Trust will allow Salem residents the opportunity to visit the Museum of Science in Boston free of any admission fee during September 2012. The party to honor Kenny Rothwell at the Boys & Girls Club's inaugural "Champions for Kids Celebration" is coming! Thursday evening, September 20th, Boys & Girls Club Auditorium, 13 Hawthorne Boulevard. Tickets are available at the Club and Ken's Kickin Chicken. Come and enjoy a fun event: cocktails at 6:30pm, buffet at 7:00, followed by comedian and roast. Join us for lots of laughs to honor this outstanding member of our community and long-time friend of the Boys & Girls Club! This fall, the conversational series, “NSES Power Breakfasts” will be renewed. Power Breakfasts are designed for NSES Board Members, Staff, and Volunteers to have an opportunity to meet and talk with “those who help shape our communities”. The setting is informal and the number of participants is limited to encourage dialogue. No presentations are expected. Rather, we look forward to a casual conversation on topics relative to aging on the North Shore and in Massachusetts. Previous guests have included Salem Mayor Kim Driscoll, Salem State Representative John Keenan, Peabody State Representative Joyce Spiliotis, Danvers State Representative Ted Speliotis, Massachusetts Older Americans Association President Bob Green, and Massachusetts AARP President Charles Desmond, Elder Affairs Secretary Michael Festa, and others. In light of the forthcoming elections, several Power Breakfasts have been planned. On Tuesday, September 18th, Congressional Candidate and Former State Senator Richard Tisei was our Power Breakfast guest and on Tuesday, October 2nd, Congressman John Tierney will be joining us. We have also extended an invitation to Joan Lovely, who just won the Democratic nomination for the open seat in the Second Essex Senatorial District succeeding Senate Majority Leader Fred Berry. She will be with us following the November 6th General Election. We will be also inviting Peabody Mayor Ted Bettencourt who is in his first year in office. I am pleased to announce that on October 1 Michael Ebner will join St. John’s as Chief Advancement Officer. Mike will partner with Associate Headmaster for Alumni and Community Relations Michael Newhall ’80 to lead the Advancement office at St. John's, and he will serve on the Headmaster’s Leadership Team. Mike comes to St. John's from Phillips Academy, Andover, where he was a Principal Gift Officer during a time of unprecedented growth in the school's philanthropic efforts. A graduate of Andover, Mike has served his alma mater in a variety of leadership roles since 1995. Most recently, he played a key role in the Campaign for Andover, a capital campaign that has raised nearly $300 million since 2005. He began his career at Andover as the school's Protestant chaplain. He went on to serve as Interim Secretary of the Academy, Director of Alumni Relations, and Assistant Director of Community Service, as well as many other roles including house counselor, faculty member, admissions interviewer, advisor and member of the school's Community Health Team. Throughout his years at Andover, Mike engaged students and adults in cultural exchanges, outreach, and service learning programs, including an alternative spring break trip to John’s Island in South Carolina, where faculty and students help to repair homes for local residents. A graduate of Rollins College, Mike was an investment manager and business owner until 1992, when he left to attend Andover Newton Theological School. After many long weeks of anticipation and waiting for the season to begin, the local professional football team began last week with a convincing win against a team they should beat. They received numerous contributions from both the offense and the defense with a number of excellent performances by rookies. The outlook for 2012 looks positive but it is many weeks between opening day and the big prize in New Orleans in February.